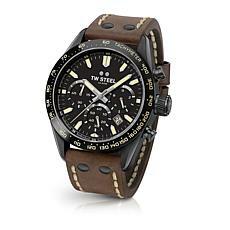 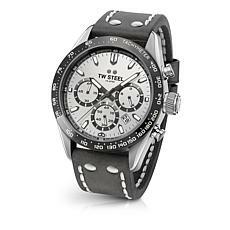 Make a clean break from your worn-out wristwatch with a handsome new timepiece from TW Steel. 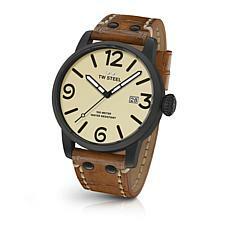 This one boasts a vintage-look genuine leather strap, a cream-colored dial, and bold, easy-to-read hour markers. 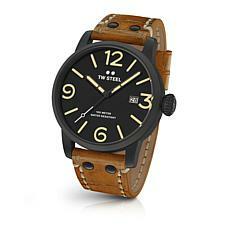 The vibe is classic, yet modern ... just like a Maverick!